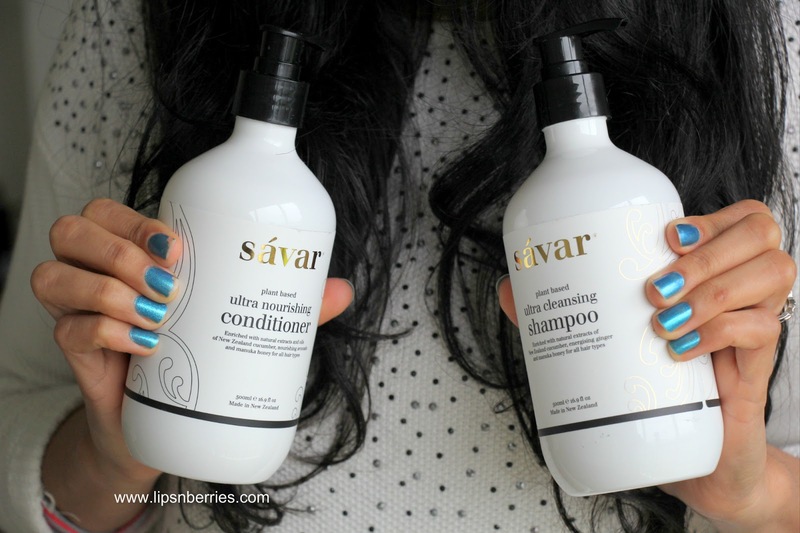 Savar Ultra Cleansing Shampoo & Ultra Nourishing Conditioner Review | LIPS n BERRIES! 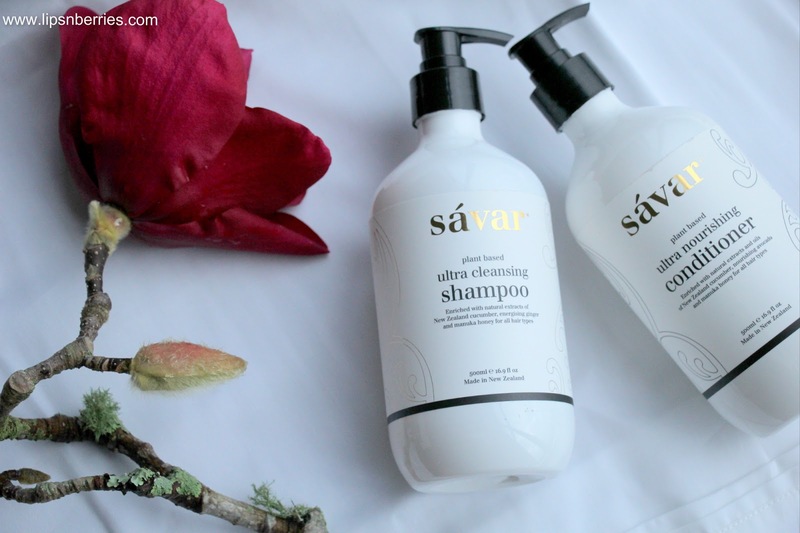 My favorite Shampoo meet the world. 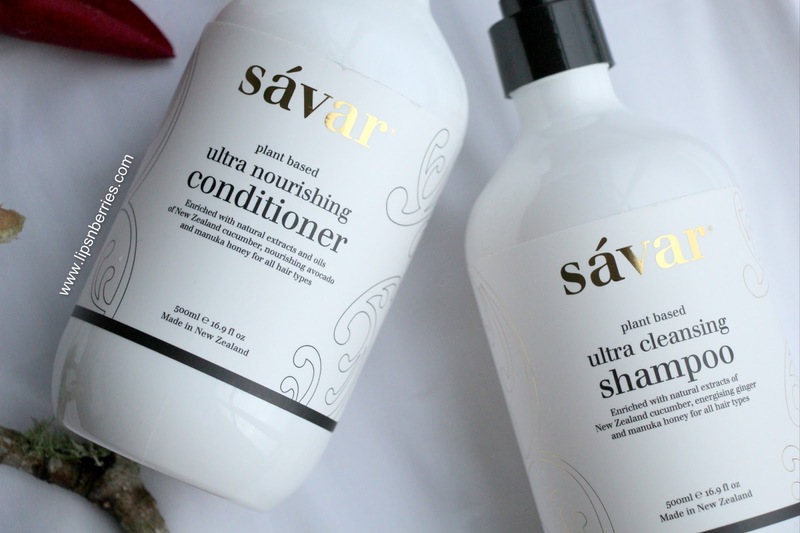 World meet my favorite shampoo. Yes! I have found my Holy Grail ..yet again! 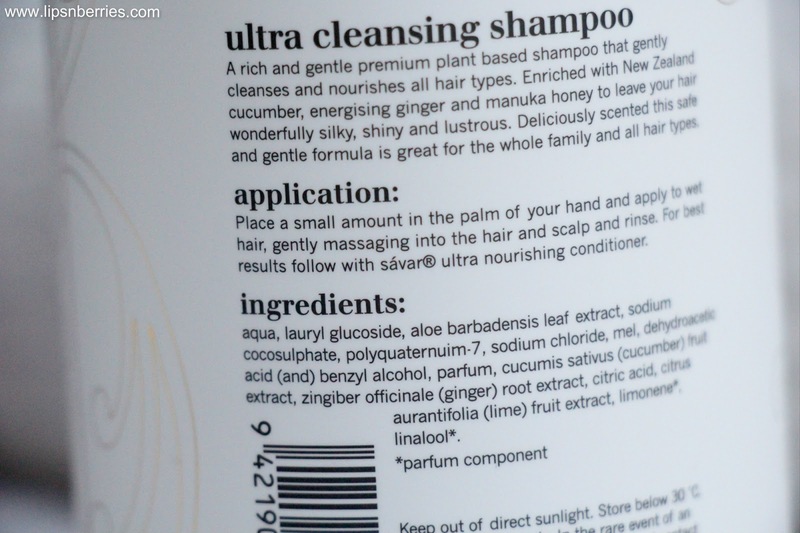 Seems like I'm having a good run with shampoo's. Wishing I had a good run with my hair too coz at the moment, they are a hot mess. Pretty much the worst they have ever been (in capitals). And there's no one to blame but myself. So, my hair grow damn slow (2 inches a year!) and I need length. I NEED a good length for my upcoming holiday. So I've not had a hair cut in yonks (I'm not gonna tell you how long it's been..It's rather embarrassing. Any guesses?). There's split ends, there's dry ends, there's awkward lengths and there's more thickness than I can handle, there's flatness that comes with heaviness, there's hair fall and then there's bleach laden swimming pool, sweaty Crossfit floors and my laziness. All this against my poor hair. Writing this makes me feel a lil sad for them.. Tough life! So when I say a shampoo has been working for me, you've gotta trust me. Surely, a shampoo won't fix split ends but it can make them less bushy. World meet my new favorite Shampoo & Conditioner combo- Savar Ultra Cleansing Shampoo* & Savar Ultra Nourishing Conditioner*- A NZ made, plant based haircare, gentle enough for the whole family. A clear shampoo and a not-so-thick creamy conditioner that seem to be doing the trick. I've been using these for months and it keeps getting better. 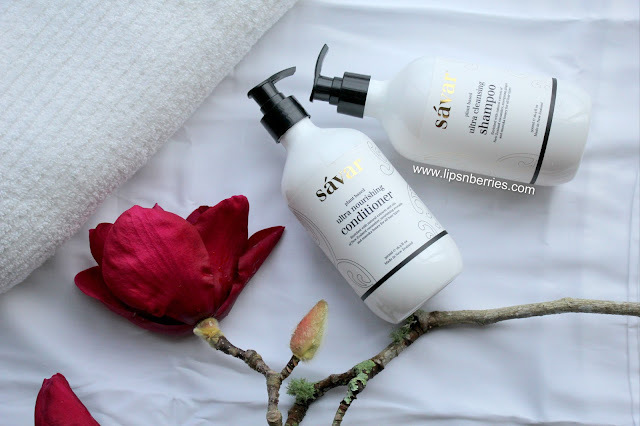 "Our products are definitely SLS free. 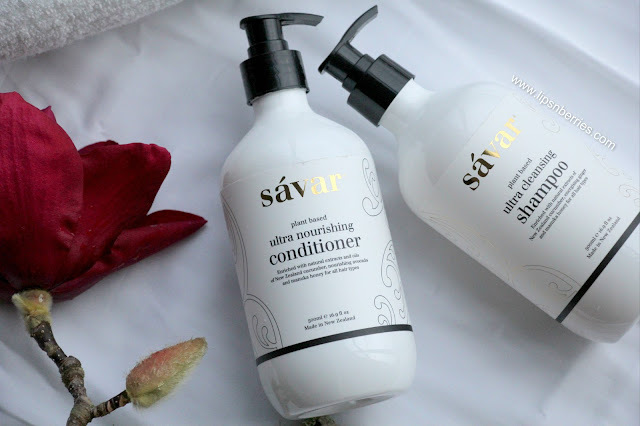 Wherever possible we use natural plant based ingredients and the shampoo and conditioner are both formulated with plant based sulphates. We also wanted to let you know while some of our products are 100% natural, we also have some products that do have very, very small amounts of fragrance in them. 99% – 99.99 % natural. I know it sounds pedantic however we do prefer to be upfront about it. We have chosen to fragrance most of our range with fragrances as opposed to essential oils as essential oils and fragrance have a similar amount of allergens however fragrance can be used at a much lower level therefore it is less of an irritant. We must also point out that we are marketing our shampoo and conditioner as plant based rather than natural as it is near on impossible to do a 100% natural shampoo and conditioner. Our new shampoo and conditioner are 98 – 99% plant based." Well that put all my questions to rest. A 98-99% plant based has all the ticks from me. If you've been looking for a gentle SLS free shampoo that'll put life back to your hair, give these a shot. 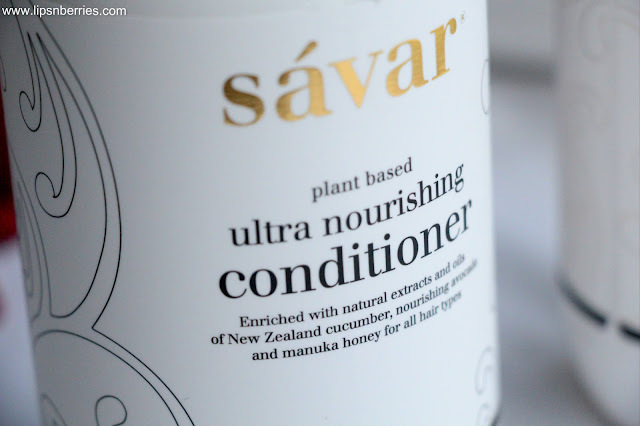 500 mL pump packaging will last you months and you'll feel great about supporting a product that is good for the environment, yourself and is proudly NZ made. They say I'd be a good salesperson. Did I convince you? Have you found your Holy Grail shampoo yet? 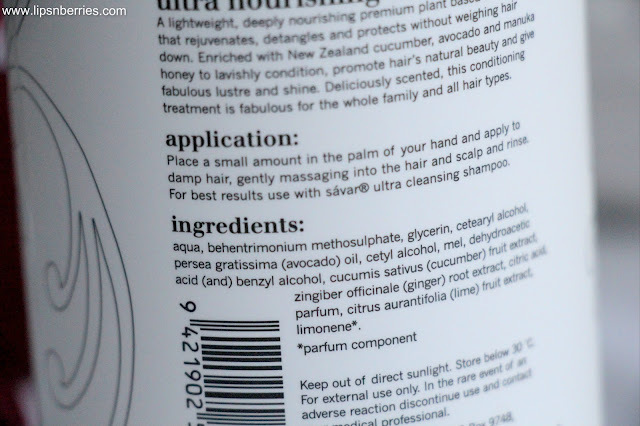 What hair-care products do you swear by? Talk to me in the comments below.